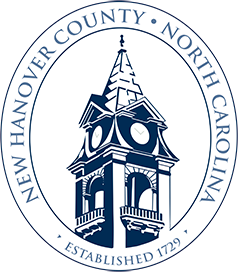 On January 22, 2018, the New Hanover County Board of Commissioners adopted the county’s 2018-2023 Strategic Plan. 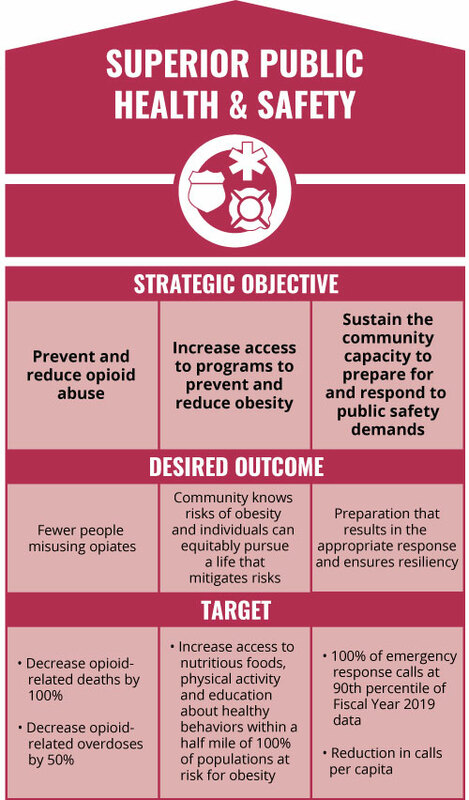 This is the second strategic plan adopted by New Hanover County; the first strategic plan was implemented from 2012 to 2017. 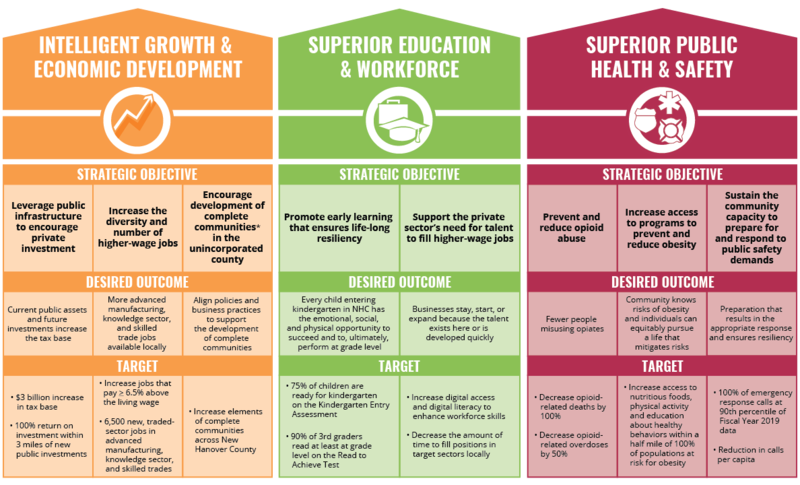 Learn more about the county’s new strategic objectives, outcomes, and targets below. *Complete communities provide a range of housing sizes and price points, employment opportunities, convenience needs, community facilities, and support services to provide access and opportunity for all New Hanover County citizens. Click on the image below to download a full PDF of the NHC 2018-2023 Strategic Plan Map.